American photographer Rory Doyle is today announced as the winner of the fourth annual ZEISS Photography Award. His Outstanding series documenting Mississippi Delta’s African American cowboys and cowgirls. Selected from nearly 58,000 images submitted by photographers from 150 countries, Doyle’s series Delta Hill Riders provides a thought-provoking visual insight into the subculture of African American cowboys and cowgirls in the rural Mississippi Delta. The work stood apart in the competition for judges Simon Frederick (artist, photographer, director and broadcaster, UK), Shoair Mavlian (Director, Photoworks, UK) and Dagmar Seeland (Picture Editor, STERN Magazine, Germany), who were tasked to reward exceptional bodies of work of 5-10 images with a strong narrative that answered the brief, ‘Seeing Beyond: The Unexpected’. Impressed by the creative response to the brief, the judges also shortlisted the work of six further artists: Michela Carmazzi (Italian), Ken Hermann (Danish), duo Benedicte Kurzen & Sanne De Wilde (French & Belgian), Petra Leary (New Zealander), Lara Wilde (German), Gangfeng Zhou (Mainland Chinese). Located in Cleveland, Mississippi, Rory Doyle is a photographer whose work has been published worldwide. Doyle’s winning images are part of an ongoing series which has been shot across the Delta,challenging the stereotypes of cowboy culture and preconceptions of the rural South. Explaining the work, Doyle says: “It is estimated that just after the Civil War, one in four cowboys were African American. Yet this population was drastically underrepresented in popular accounts. And it is still. 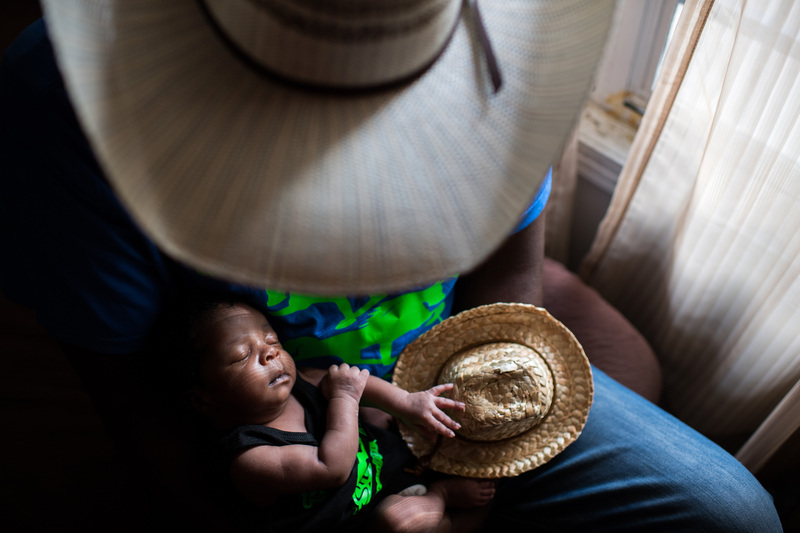 The “cowboy” identity retains a strong presence in many contemporary black communities. My ongoing project about African American cowboys and cowgirls in the Mississippi Delta sheds light on an overlooked subculture – one that resists historical and present-day stereotypes. NIGERIA, Igbo-Ora, October 2018. Twins pose for the photographers in the old city of Igbo-Ora. Igbo-Ora, the self proclaimed ‘Twin Capital of the World’ has earned its nickname by the unusually large number of twin births in the region. Research has suggested that the multiple births could be related to the (over)consumption of local crops by the women in the region of Igbo Ora. Although no direct relation between dietary intake and twin births has been proved, a research study carried out by the University of Lagos Teaching Hospital has suggested that a chemical found in Igbo-Ora women and the peelings of a widely consumed tuber (yams) could be causing twins births. Another possible explanation is genetics.